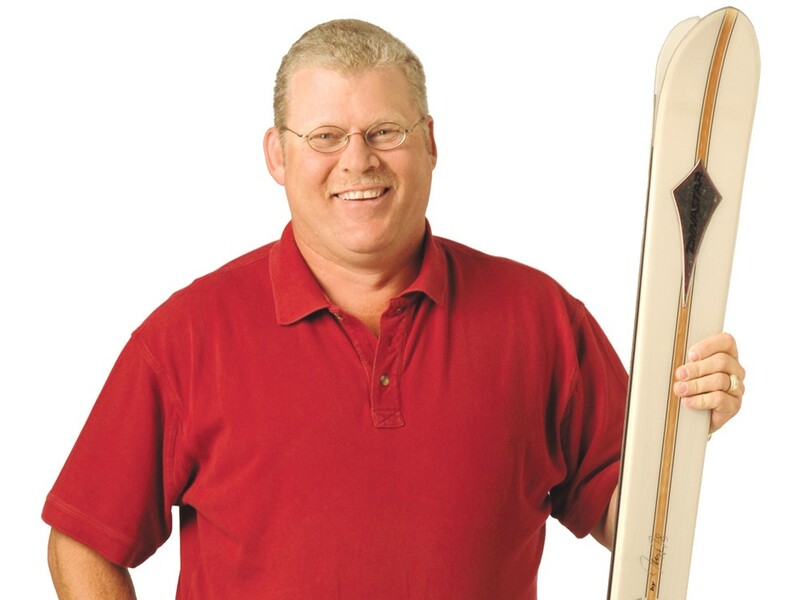 For 49 Degrees North ski resort owner John Eminger, feast or famine comes from the sky. “In a seven-year period, there’s going to be one bad year, one great year and a bunch of average,” says Eminger, whose resort sits atop Chewelah Peak in northeastern Washington. It’s a life that reminds him of his upbringing on a ranch, the days of living off the weather. Not that business is a numbers game for Eminger, a 51-year-old Chewelah native. Eminger relishes the challenge of operating a resort, an operation that he likens to a small city. He has, after all, 100 ski instructors, 100 ski patrollers, a maintenance crew, a restaurant, a bar. But as a young man, Eminger wasn’t necessarily destined to run a ski operation. For a long time, he didn’t really know what he’d do. After leaving the Navy in 1983, Eminger received an associate’s degree from Spokane Falls Community College and eventually pursued several bachelor’s degrees and a master’s in history. He had a stint as a historian, another stint as a teacher in Spokane Valley. On a trip to his family’s ancestral homeland in Elko, Nev., he passed through 320 acres of land he’d inherited, a vestige of the ranching life that his forebears had discouraged Eminger from joining. “My grandfather and my dad were like, ‘John, go to college,’” he says. Over the years, development had brought the city of Elko around this once-deserted patch of land. Eminger and his friends, seeing it on a camping trip, decided to turn it into a housing development. In 1992, just as their development was going to sale, a gold mining company came along to buy the 22 prepared lots, and asked for more. As he got “all burned out” from the development, Eminger decided to find something new to do. On his way to go buy a sailboat and sail around the world, Eminger stopped at 49 Degrees North. A conversation about buying some land there ended up with him owning the joint. “And then there’s all these businesses,” he adds, referring back to all the pockets of employees and hospitality businesses that come with the package. And that package will continue growing. With the expansion of the resort onto the adjacent sub-peak known as Angel Peak, Eminger is happy to keep plotting a bigger, better resort. Though the Great Recession put it on hold, the company has a 30-year plan that would include more lodging. In the meantime, a mid-mountain ski lodge is being planned for 2014. “It’ll be a warming lodge … two stories that look out over the Pend Oreille Valley and the Pend Oreille River, you see the Kalispel Reservation, if you bring binoculars you’ll see the buffalo,” he says. All the plans, all the logistics, it keeps Eminger happily occupied.